Content, brand stories, and social media have been dominating marketing conversations for years now. Big brands are creating whole platforms of content that may or may not even feature their products. Social media is exploding with businesses that don’t advertise any other way. And it’s all moving a mile a minute. It makes a small business wonder if any of this applies to them. Can a small business use social media or content marketing to help boost their brand, or is it just for the big guys? The truth is, small businesses need to brand themselves to stand out, too. They can harness the power of content, social media, and email marketing to boost their own conversions. 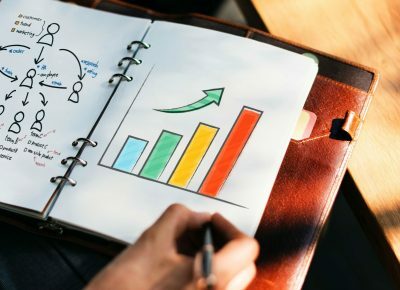 Here are a few suggestions on how to launch a successful online marketing campaign as a small business. You’re probably not the only real estate agent or online origami paper store out there. So how do you make yourself stand out from your competition? Before you do anything else, think about who you are as a business and what you provide that makes you unique. There are a number of ways to do that. Let’s look at a few. Like I said before, before you do anything else to boost your small business brand, you need to figure out just what that brand is. These are important questions to answer if you want to stand out. Did you know that Millennials are more likely to pledge their loyalty to a brand if they have a clear story and a mission? They want to create change in the world and they want their brands to do the same. One of my favorite brand examples is Dove personal care products. In 2004, they began The Real Truth Behind Beauty campaign to change how we think about beauty standards. They now sponsor programs that teach body confidence in kids and offer free resources for parents to do the same. When it comes to small business branding, I offer this example: I have an architectural client who specializes in sustainable building and spiritual spaces. I’m leveraging both of those aspects of her business to build a brand story centered on wellness at the individual, community, and environmental levels. Email marketing platform Klaviyo held a summit discussing best practices in ecommerce. One thing they stressed was standing out through good customer service. Addressing customer issues quickly and anticipating their needs will brand you as a quality business and earn you customer loyalty. Not doing so will chase your customers away. 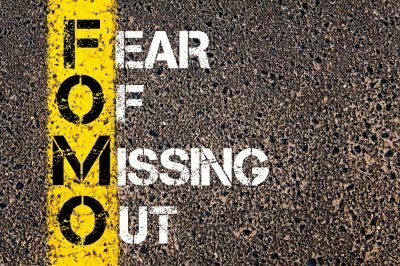 In fact, according to Salesforce, 50 percent of consumers will switch brands if a company doesn’t anticipate their needs. We’ve all seen how effective branding through design can be. It’s why Victoria’s Secret wraps your purchases in that distinctive pink tissue paper and your Shutterfly photos come in that bright orange envelope. When the tissue paper sticks out of your bag and the envelope sits in your mailbox, everyone knows where you shop; that you belong to a tribe. Come up with your own unique feature that speaks to your small business brand. Maybe it’s the color of your shipping boxes, or maybe it’s a certain border you use on all your Instagram posts. Whatever it is, make it as identifiable as that pink paper. You probably know you need some kind of blog to get your business ranked on Google. You may even know you need to choose the right keywords and place them throughout your site. But there’s so much more to content marketing than that. Let’s take a look at some of the key differentiators between an okay small business content marketing campaign and a great one. You’ve got a blog and you contribute regularly. You’re even doing your research to find out what your users are reading and what kinds of keywords will work best. That’s great! You may be seeing some life from your efforts, but are you seeing the results you expected? 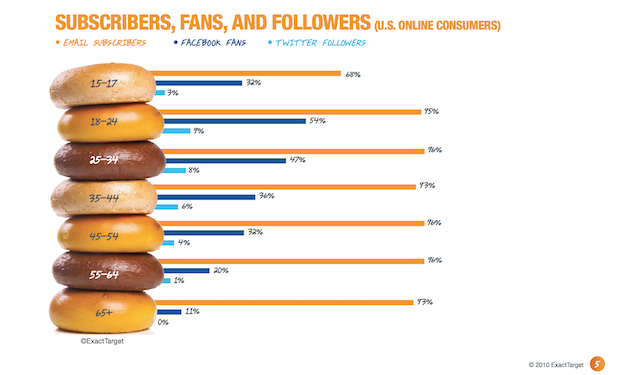 You might be seeing a whole lot more if you diversified your content marketing portfolio. Much like your retirement portfolio, you don’t want to put all your eggs in one basket, or you risk losing money if something goes bust. To diversify your content marketing strategy, consider other ways to publish your content. Here are a few ideas to get you started. YouTube has just over 1 billion users logged in per month. That’s a lot of eyeballs for your business. Look at what kinds of content businesses in your space are creating. Is there something you could offer? How-to and unboxing videos are very popular. If you can create useful content for your users via video, you may be able to attract more users to the top of your funnel. 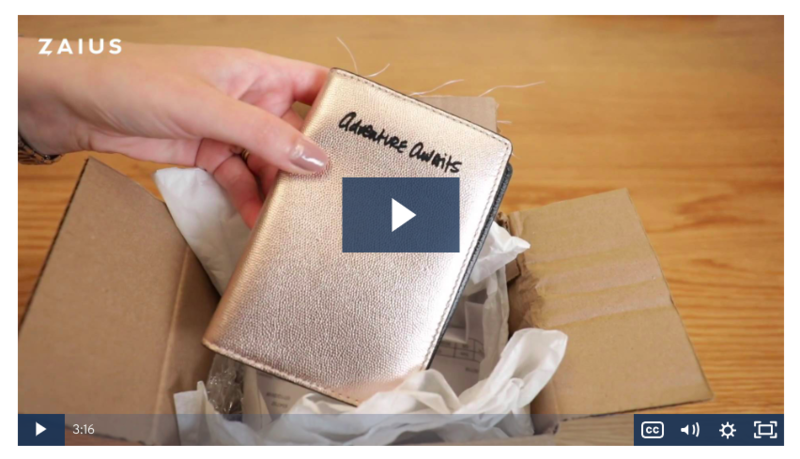 If you want to see an example of this done well, our friends over at Zaius recently launched an excellent video series called Marketing Unboxed, where they analyze how popular ecommerce companies are converting customers and increasing brand loyalty. Since their target audience is ecommerce marketers, this is a great way for them to attract just the right leads to their content. Offering any of these types of content helps you establish authority, which we’ll explore more deeply in the next section. White papers and eBooks let you speak more deeply on a topic and offer real insights to people who are looking for advice. One bonus with these types of longer-form content: you can “gate” them with an email capture form. Request an email address from anyone who wants to download, and you’ve suddenly got a lead with real interest in your area of expertise. On the flip side, infographics help you break up a lot of information into more snackable statistics that users can then share via social, or cite in their own content. 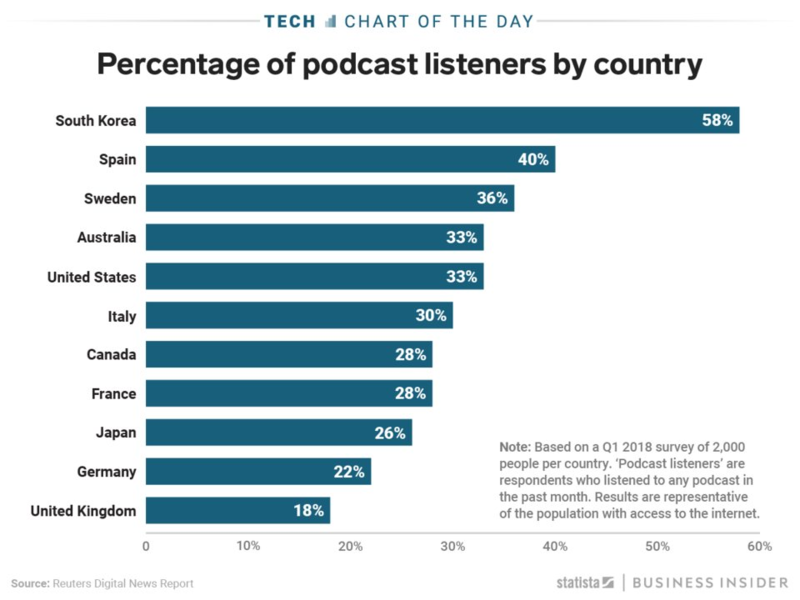 Podcasts are incredibly popular around the world, with South Korea leading the way. Particularly if your customer base is younger, podcasts are a great way to reach potential customers, and reach them beyond your own borders. Of course, the kind of content you create is all going to depend on your audience and your business. Depending on who you are, you can experiment with comics, GIFs, or Spotify-like playlists. The key is to tap into your audience’s needs and preferred method of consuming content. EAT stands for expertise, authority, and trustworthiness; something talked about often at Klaviyo’s Ecommerce Summit. When a person searches for information online, they’re usually looking to solve a problem. They want content from sources they can trust; sources that have some authority and expertise on the topic. If you can show that through your content (white papers, videos, blog posts written by leading experts), then you can gain followers and convert them into customers. 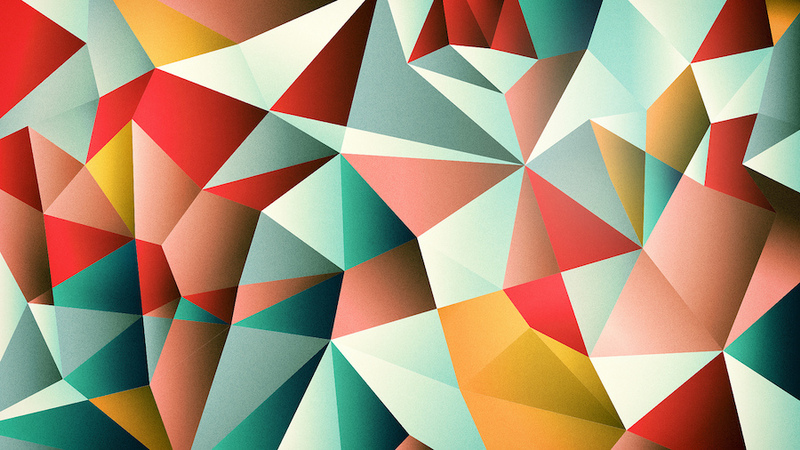 By the way, potential customers aren’t the only ones looking for these traits in brands. Since 2015, when Google released their Search Quality Evaluator Guidelines, we’ve known that the search engine has put a lot of emphasis on EAT as a measurement of good content. Once you’ve got great content, it’s all about getting it out on the right channel. Some brands would place social media marketing in its own category, but I see it as an essential part of your content marketing overall. After all, 68 percent of American adults still use Facebook, according to Pew Research. Using the right social channels to promote your content and products can bring more shoppers to your site. 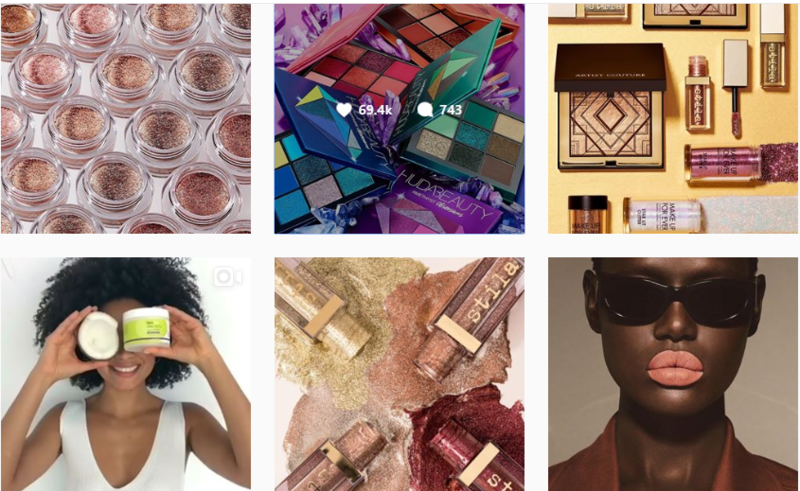 For instance, if you’re a beauty brand, like Sephora, Instagram is a great way for you to showcase beautiful images of your products. Again, keep in mind who your audience is. I managed a parenting site whose user base was mainly millennial moms. For them, Pinterest is everything, so we boosted our Pinterest posts and saw a pretty nice gain in social traffic. For the longest time, most businesses were looking at pageviews as their only benchmark of a successful campaign. And if those pageviews weren’t hitting the target, they blindly wondered what they could do about it. So came the death of many a content marketing campaign. If you’re tracking video, for instance, what is your complete rate (the percent of viewers who complete the video)? At what point in the video do viewers start to drop off? For white papers, it’s not all about how many people downloaded it. How many people got to the email field and then bailed? For blogs, how far did people scroll down a post before they left? How many other pages did they view after the initial post, and what link brought them there? How many people have linked back to your infographic or shared it on social media? And don’t forget conversion rate. How many conversions did you get against all of those other metrics? These are all important metrics when it comes to small business content marketing. Because, let’s face it, your blog post and your video aren’t going to get the millions of views, likes, and shares that the big guys command. For you, it’s all about quality of views, and how many ended in a conversion. Email marketing is so much more than sending out the occasional discount coupon or business update. Let’s look at some of the ways you can use email marketing to stay top-of-mind with potential leads and convert them into regular customers. Email marketing is still a big deal. In fact, email marketing outperforms social media marketing, if you can believe it. Email newsletters are a cost-effective way to stay top-of-mind with customers, and how you use them depends on your business. Shops (online or otherwise) might feature new products or announce a sale. Content businesses might feature their latest posts. The point is, the emails you’ve collected through purchases or sign-ups aren’t sitting idle. And as long as you’re giving your subscribers content that they find relevant and useful, you’re likely to find yourself with repeat customers. Not sure how to get your own email newsletter started? Check out our email newsletter design guide. Personalized service is as old as commerce itself. Everyone loves being greeted by name at the bar as the bartender hands them their favorite cocktail. So, too, do online users love being greeted by name, with purchase suggestions. Why do you think Amazon does so well? Leverage the power of personalization, not just on your site, but in your email campaigns as well. According to Campaign Monitor, 26 percent of emails with a personalized subject line are more likely to be opened. Use email automation software to send emails at various stages of the buyer journey. If they purchased something from you in the past, use their buyer preferences to generate suggestions for similar products. Here’s a great example. 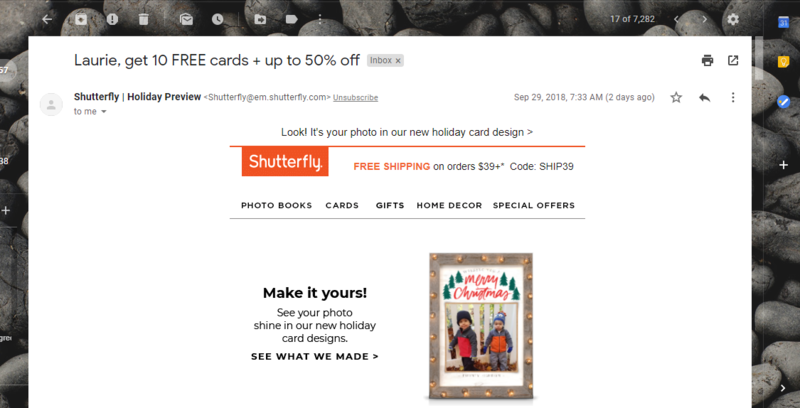 Shutterfly knows I buy holiday cards every year. So they’ve already (in September) started hitting me up with offers, even including my name in the subject line. At the very least, I’m going to check out the site to see what kind of designs they have this year. Automated software can also help you respond to new subscribers or customers quickly. If someone gives you their email, don’t wait to thank them. Do it right away! Send your latest newsletter, a discount coupon, or even a friendly welcome message that invites them to check out your latest and greatest. According to Experian, emails triggered in real time are 10 times more likely to result in a transaction than those that are batched. 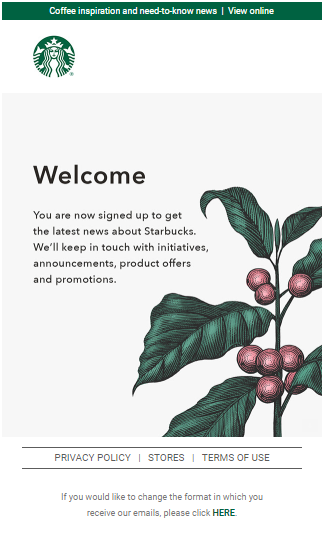 Here’s one I got from Starbucks right after I signed up to their newsletter. It’s simple, with just a few links to helpful information. Honestly, I would have added a call to action to find my local Starbucks or take advantage of a sale, but it gets the point across. So, can small businesses take advantage of content, email, and social media marketing? Can creating a brand story for your small business help extend your reach and win you new and repeat customers? The answer is an improv comic’s go-to motto: “yes, and.” Yes, and it’s all about tailoring these tools to meet your needs and the needs of your customers. To learn more marketing tricks of the trade, check out other content marketing resources from Crazy Egg. Laurie is an efficient and experienced content creator and editor for B2B and B2C brands. She is an adjunct professor at Fisher College in Boston, where she teaches classes on content marketing and social media.